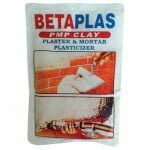 CMI BETAPLAS PMP CLAY | CMI Marketing Sdn. Bhd. Additives : Water- soluble polymeric fibres for improved workability and strength. Aggregate size : 0.5 mm maximum. Potlife : Approximately 1 hour after addition. Mixing ratio : 150 gm sachets to 5O kg OPC. Packing : 150 gm sachets/ 60 sachets per carton. Shelf life : 12 months if unopen. Storage : Keep in cool and dry condition. Remove all traces of dirt, dust, grease and traces of loose foreign materials from substrate. A key bonding coat is recommended for soffit and sheer wall concrete surfaces for thick plastering. Plastering Mortar : 150 gm CMI Betaplas PMP Clay: 5O kg OPC : 150 kg- 200 kg Sand. Masonry Mortar : 150 gm CMI Betaplas PMP Clay: 5O kg OPC : 250 kg- 300 kg Sand. Screeding Mortar : 150 gm CMI Betaplas PMP Clay: 50 kg OPC : 350 kg- 400 kg Sand. 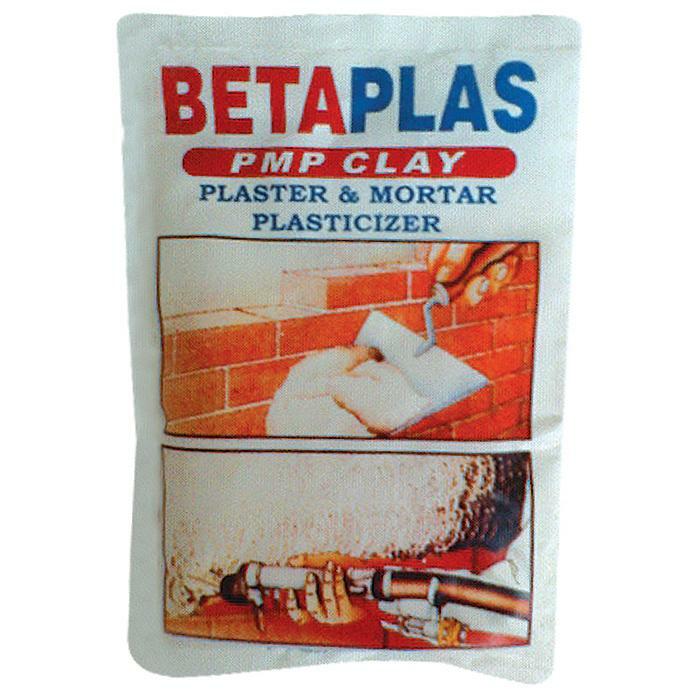 After adding the usual water requirement into the plaster or mortar mix, add one ( 1 ) sachet of CMI BETAPLAS PMP CLAY and sprinkle the powder over the mixture. Mix thoroughly until a change in consistency ofthe homogeneous paste is achieved. The mix is now ready for use.